Mrs. Reid is a former teacher, a published author, and one of Valley Academy’s founders. As a member of the leadership team that developed Leadership for Educational Entrepreneurs (a master’s program developed for charter school operators through the Arizona State University West campus), she worked with charter school leaders on a national level. 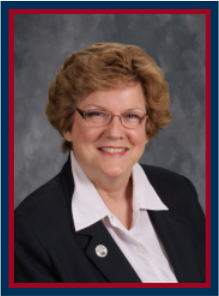 In the formative years of Arizona’s charter industry, she served on the Arizona Charter Schools Association as secretary, treasurer, and President. She was a member of Superintendent Tom Horne’s Charter Advisory Committee. Mrs. Reid holds a Bachelor of Science in English Education from Florida State University. Mrs. Reid’s background in the education field and her determined drive toward education reform has made her a critical part of Reid Traditional Schools’ development. Mrs. Warner was drawn to Board service by her support of the traditional values of Reid Traditional Schools’ Valley Academy and by the commitment of its employees and students’ parents. 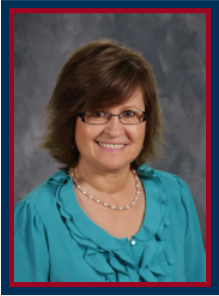 Mrs. Warner has enjoyed her many years of Board service and looks forward to watching the growth and success of Reid Traditional Schools’ Painted Rock Academy. Her years of volunteer work have expanded to include working with Crisis Nursery of Phoenix, American Cancer Society, Junior Achievement of Arizona, and Teen Reach Adventure Camp (Hope Unlimited), and hosting two foreign exchange students from Russia through Ayusa International. Most recently, she is involved with ToastMasters International and currently is President of one of its Arizona Chapters, Peacock ToastMasters. Mrs. Warner is also an active member of Christ’s Church of the Valley (CCV) and has volunteered with the 4th-6th graders. Mrs. Warner is married, and she and her husband, Wayne, have five adult children, four grandchildren, and more on the way. Mrs. Warner is a long-time employee of Wells Fargo Bank; it is this association that connected her with Reid Traditional Schools’ Valley Academy when she partnered with the Specialty Markets Government division to help Valley start its banking relationship with Wells Fargo. Dr. Parag Chokshi is a proud parent of two Valley Academy alumni. He is honored to serve on the Board because of his deep commitment to serve his community and make a difference in the lives of tomorrow’s leaders. He is a practicing gastroenterologist who is actively engaged in many other community and professional leadership roles. 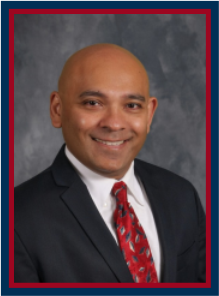 Dr. Chokshi serves as Chairman of the GI section at Banner Boswell Medical Center, as Medical Director of the Sun City Endoscopy Center, and as a managing Partner for Clinic for Digestive Diseases. 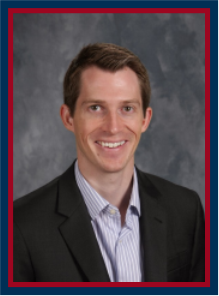 He serves on the Board of Directors for Arizona Integrated Physicians, as well as Arizona Digestive Health. Dr. Chokshi also serves on the Board of Vaishnav Samaj of Arizona, a local Indian Temple. Dr. Chokshi did his undergraduate education at Cornell University, followed by graduate studies at New York University School of Medicine. He completed residency in Internal Medicine at Montefiore Medical Center/Albert Einstein School of Medicine followed by Gastroenterology fellowship at University of Texas at Houston/MD Anderson Cancer Center. He is a proud father, husband, and Arizona community leader. Mr. Efird is a corporate attorney practicing with Fennemore Craig, P.C. He is part of the firm’s business and finance practice group, and focuses on general corporate law, mergers and acquisitions, contract law, and venture capital transactions. In addition to his work with corporate clients, he helps advise individuals on the formation and structuring of new business entities, including corporations, partnerships, and limited liability companies. Prior to joining Fennemore Craig, Mr. Efird worked for the United States Senate and Arizona Chamber of Commerce and Industry. He also externed with the State of Arizona Governor’s Office of General Counsel and the Maricopa County Attorney’s Office. Outside of work and Reid Traditional Schools, Mr. Efird has spent the last four years serving on the board of Prevent Child Abuse Arizona, where he serves on the board development and finance committees.